← Fight Hunger and bid to win Rangers tickets and an autographed stick! Tonight in Tampa Bay, the red-hot Rangers (14-2-2) get their first shot at redemption against the Lightning (8-9-3), the very same team that knocked them out of the playoffs last season, just one win shy of a return trip to the Stanley Cup Finals. While the Rangers are currently off to the best start in franchise history, the Lightning have failed to recreate their Eastern Conference Champion selves. After winning their first three games of the season, Tampa is 5-9-3 in their last 17 games, losing two straight games and four of their last five. On top of that, they’re dealing with some substantial injures. Ondrej Palat has missed the last three games with an upper-body injury, but Tyler Johnson and Cedric Pacquette have also been dealing with injuries, and will miss tonight’s game against the Rangers. On top of that, Jonathan Druin and former-Ranger Ryan Callahan are listed as day-to-day, and are not expected to play. That gives the Rangers an incredible opportunity to match the franchise best 10 game win streak against the team that knocked them out of the playoffs last year. The players always talk about how the past is the past, and focusing on the game in front of them, but this is largely the same roster from last May. The Game 7 loss has to be in the back of their minds. The Lightning are expected to start Ben Bishop, their 6-foot-7 goaltender that enjoyed a breakout 40 win season last year. His size is his strength, as he takes up a lot of the net and moves relatively well for someone his size. Bishop is 6-7-2 with a 2.26 GAA and a .918 save percentage. Getting the offense going is the biggest challenge for Tampa early in this season. They currently hold a -3 goal differential, and Monday’s 1-0 loss to the Florida Panthers marked the fourth time that they were shut out. It was also the ninth time in 20 games that they were held to one goal or less. With all of the injuries, Jon Cooper will look to his captain, Steven Stamkos, the team’s leading scorer with 14 points (9-5-14). The biggest storyline with him is the fact that he’s a free agent after this season, and if he hits the open market, we could see another $10 million player. Henrik Lundqvist will be back in net after getting a long five day break to recuperate. 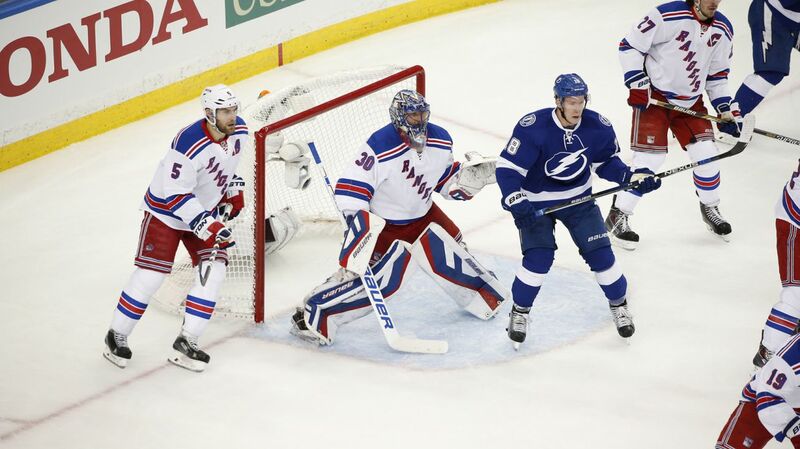 Lundqvist is currently the NHL leader in wins (10), goals against average (1.69) and save percentage (.947). He’s allowed just five goals in his last four starts, and has a six game win streak going. I’m going to write about him and mention him in every preview until he’s not relevant anymore. Mats Zuccarello has been outstanding this year, tallying 18 points (9-9-18) in 18 games this season. He has two three-point performances in his last three games, and is seeing the benefits of using his surprisingly good wrist shot more often. It’s only a matter of time until Rick Nash starts scoring more frequently, and that line will truly be a force to be reckoned with. Ryan McDonagh has been so much better recently. After limping through the first month of the season, McDonagh has responded with three goals in his last four games and improved defensive play. He’s contributing to the offense a lot more, both with shots and cycling the puck from the point. Subsequently, Dan Girardi has been playing better too. When defensemen besides Keith Yandle start contributing more frequently, the Rangers will be more versatile. The only lineup change is Dan Boyle coming in for Dylan McIlrath. Emerson Etem will be the healthy forward scratch. 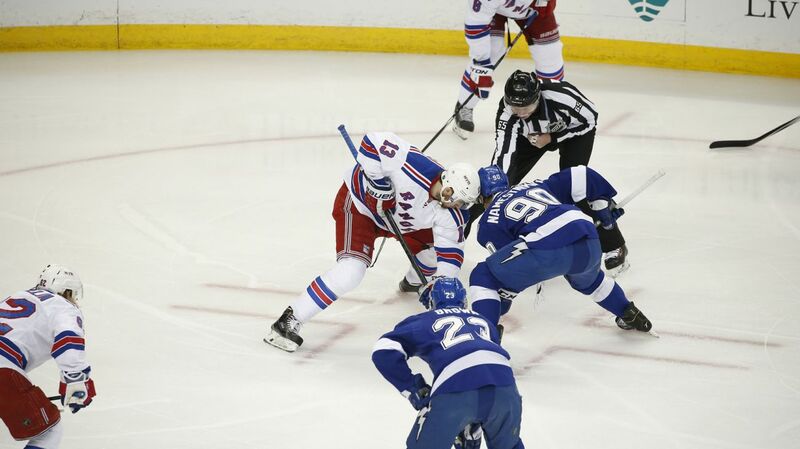 The Rangers and the Lightning will face off at the Amalie Arena at 7:30 PM. The game will be broadcasted on MSG Network. Posted on November 19, 2015, in Game Previews and tagged Alain Vigneault, Chris Kreider, Dan Boyle, Dan Girardi, Derek Stepan, Derick Brassard, Dominic Moore, Dylan McIlrath, Emerson Etem, Jarret Stoll, Jesper Fast, JT Miller, Keith Yandle, Kevin Hayes, Kevin Klein, Marc Staal, Mats Zuccarello, MSG, New York Rangers, New York Rangers blog, NHL, NYR, Oscar Lindberg, Rangers, Rangers blog, Rick Nash, Ryan McDonagh, Steven Stamkos, Tampa Bay Lightning, Viktor Stalberg. Bookmark the permalink. Leave a comment.